It’s not all about ‘purity’, you know? We thought the reason that brides-to-be wear white on their wedding day was a done deal – it’s all about being ‘pure’ and ‘virginal’, right? Wrong, actually, as a TIME article is examining where exactly the tradition comes from, and it turns out that the trendsetter was Queen Victoria. Before her, red was the colour du jour for wedding dresses. Yes, as little as 176 years ago, the whole ‘roses are red’ notion ruled, and brides wore what was considered to be the most romantic colour on their big day. Can you tell from all the black and white photos and ‘vintage’ oil paintings?! Some brides before then were choosing to get married in ivory, but crimson was way more popular amongst the masses, and those who did don white could easily find themselves in trouble. Even Mary Queen Of Scots, who married in 1558, was slammed for wearing white on her big day because the colour was more associated with funerals and mourning attire back then. To top it off, her husband then died a few years after the marriage and she was accused of cursing him with her ‘funeral frock.’ Yikes. 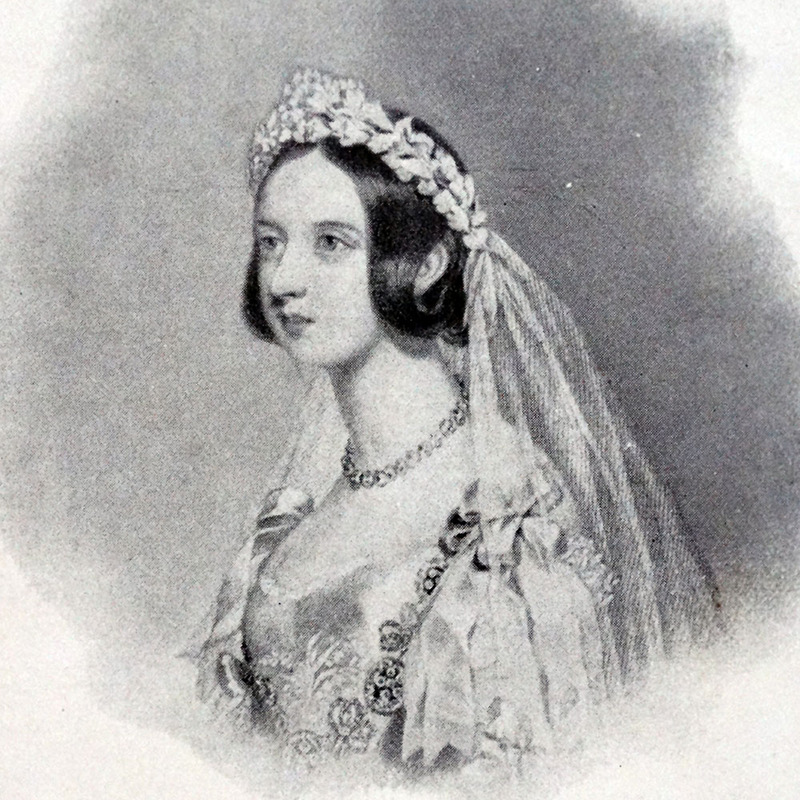 So it wasn’t until Victoria wed her Prince Albert of Saxe-Coburg on 10th February 1840, that the white wedding trend was accepted as a main-stay. The media then span it from there, declaring white to be the emblem of the innocence of girlhood, a sign of a pure heart, and all that other stuff that never really applies to us on our real life wedding days. See, we were half right, really.